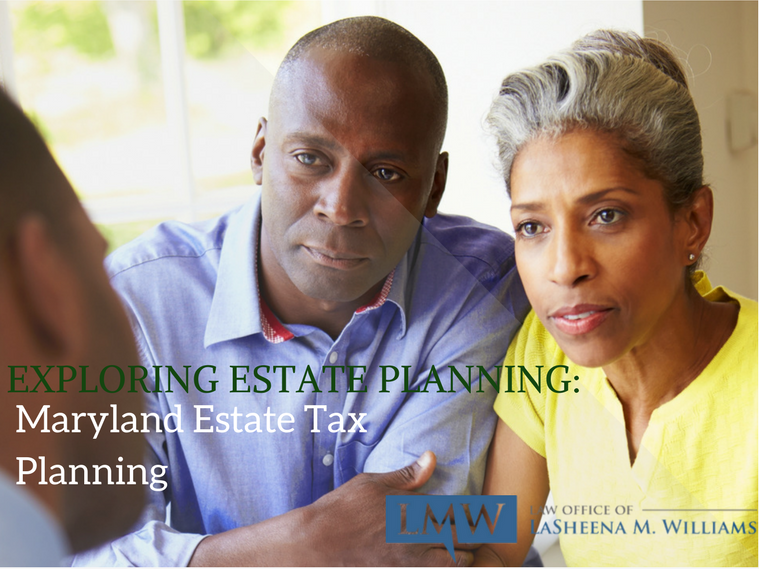 In Maryland, inheritance tax is an important factor in proper estate planning.Estate planning should preserve, guard, and pass on the family wealth and assets effectively. 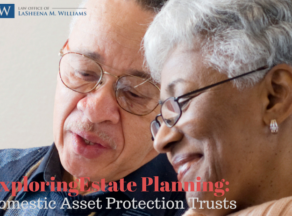 In order to ensure that assets are protected, it is important to understand a key principle of estate planning: assets should be passed on to the right people and at the right time. Like asset protection, mitigating tax consequences is a major part of comprehensive estate planning. 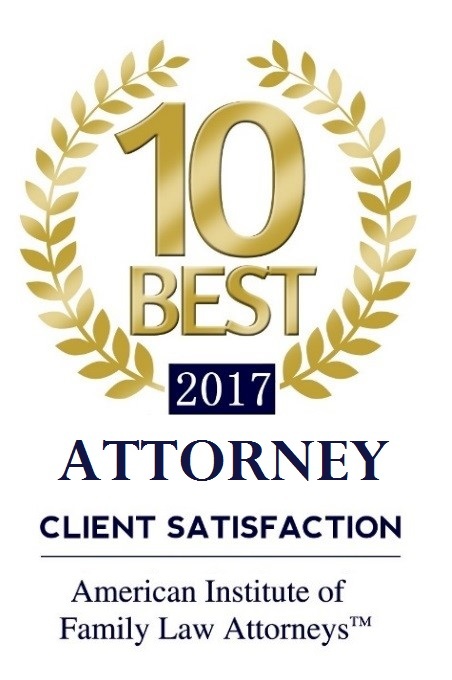 Through early planning and the services of an experienced estate planning lawyer, you can significantly reduce the tax consequences associated with transferring the assets of your estate to your loved ones. 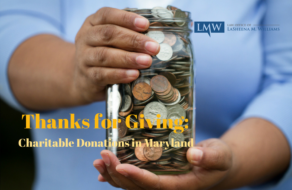 Without properly considering taxes in your Maryland estate plan, your assets can be subjected to costly gift or estate taxes, which can significantly drain the value of your assets. Estate taxes can be complicated and difficult to understand without the assistance of an experienced estate planning attorney. 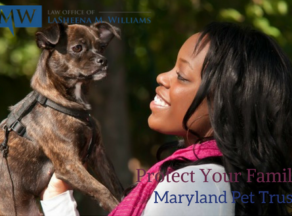 A Maryland estate planning attorney will structure your assets efficiently. By carefully considering how taxes will affect your overall estate plan, you will be able to ensure a smooth transition of your assets to your chosen heirs and beneficiaries. Working with an estate planning lawyer will also help you create a plan that is flexible and that can withstand potential legislative changes. By creating a flexible estate plan you will ensure that the estate plan will always meet your wishes regardless of when you pass on. As death and taxes are the only two sureties in life, you must ensure that you are well prepared for both. Effective estate planning helps you to prepare for death. 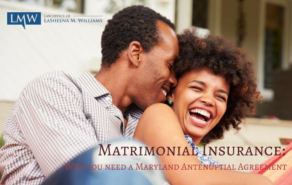 Addressing tax consequences with your Maryland estate planning attorney will help you maximize your available tax breaks. Each person has different estate planning needs, make sure you consult with a lawyer for help with your unique situation. 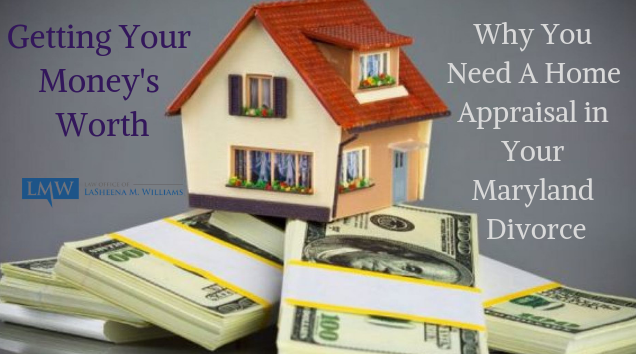 At the Law Office of LaSheena M. Williams, our goal is to work closely with you to create a sound strategy that ensures that the Internal Revenue Service doesn’t take what should be the rightful inheritance of your grandchildren or children. 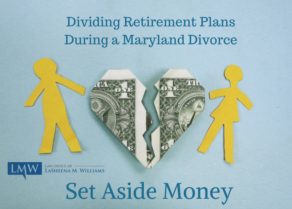 If you want more information about taxes consequences in your Maryland estate plan, please contact the Law Office of LaSheena M. Williams, we can be reached at (301) 778 – 9950. We look forward to helping you protect your assets. 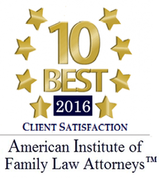 Comprehensive estate planning should include inheritance tax mitigation. 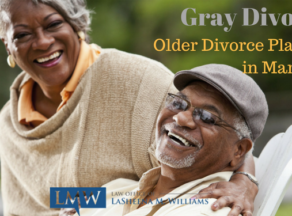 Throughout the United States, it is becoming increasingly more common for older couples to divorce….